Can the Trustee Freeze My Bank Account During a Bankruptcy? Individual debtors often file for chapter 7 bankruptcy. Once a debtor files the bankruptcy petition, a bankruptcy trustee is assigned to the case and one of his duties is to collect a portion of the debtor's assets, including bank accounts, and use them to pay his debts. Prior to seizing money from a bank account, the trustee first freezes the account to preserve the funds; however, sometimes banks will do this on their own. Debtors who file for chapter 7 bankruptcy give up their nonexempt assets to the bankruptcy trustee who then liquidates them to pay as many of the debtor's creditors as possible. In contrast, exempt assets are those protected from liquidation either by a federal or state exemption; in other words, the debtor gets to keep them. If the debtor has money in his bank account when he files for bankruptcy, the trustee will freeze the account and seize this money only if the funds are not protected by an exemption, or if the trustee suspects fraud. At other times, the bank may freeze the account. This is because some banks automatically freeze customer accounts upon notice of a bankruptcy filing. If the debtor owes the bank any money, these funds are used to satisfy the debt. A chapter 13 bankruptcy can allow someone under extreme financial pressure the breathing room needed to reorganize his debts and get out of his financial hole. In many cases, a debtor can stay in his home and keep his car and personal property under a Chapter 13 bankruptcy. When a Chapter 13 case is dismissed before discharge, however, it can put the debtor at risk of losing everything. How Much Cash Is Exempt in a Bankruptcy? When debts become overwhelming, debtors may turn to bankruptcy to give them a fresh start. Depending on the type of bankruptcy case filed, a debtor could lose some of his assets because they are sold to pay his creditors. However, many assets, including cash and future income, may be exempt under state or federal laws. Can You Include Returned Checks in Chapter 7? When a debtor files for Chapter 7 bankruptcy, he must inform the court of all of his liabilities, including returned checks. 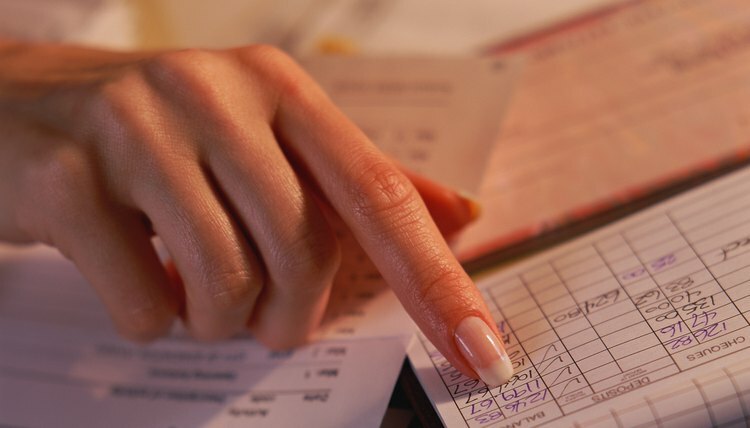 Returned checks represent the debtor's unpaid debts. As such, they are dischargeable in bankruptcy, unless the creditor can prove fraud on the debtor's part. Can a Bankruptcy Court Freeze My Bank Account? What Does It Mean if a Bankruptcy Is Lifted?